A new model on the Michelin® sole with a sole. Great hiking shoes with durable nubuck upper, GORE-TEX ® membrane and new Michelin ® outsole coupled with new Salewa GumFlate midsole. 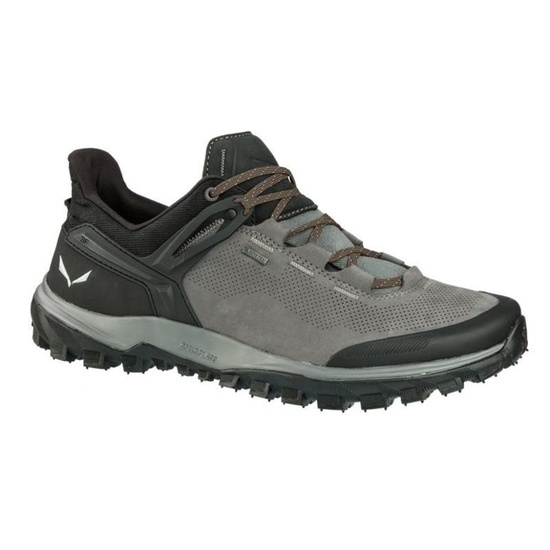 Specially designed for any mountainous terrain (stones, grass, mud, snow). 3F System - The anatomically positioned 3-arm side ankle support ensures the stability of the foot. The Gore-Tex® membrane ensures maximum water resistance and breathability. Flex Collar - The flexible collar extends the area of ​​the ankle to the rear thanks to its curved shape. GumFlate - Special Foam provides great cushioning and great adaptation to terrain with greater comfort and reduction of pressure on the foot. Ortholite - prevents an unpleasant odor.